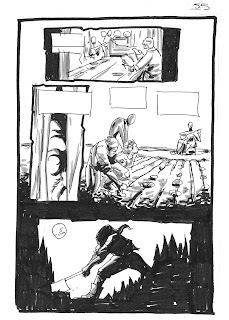 Here's the layouts for a recent Frankenstein page. A whole page, mind. Your patience during my quiet time has been rewarded with a whole page, rather than just a panel. See how good i am to you?